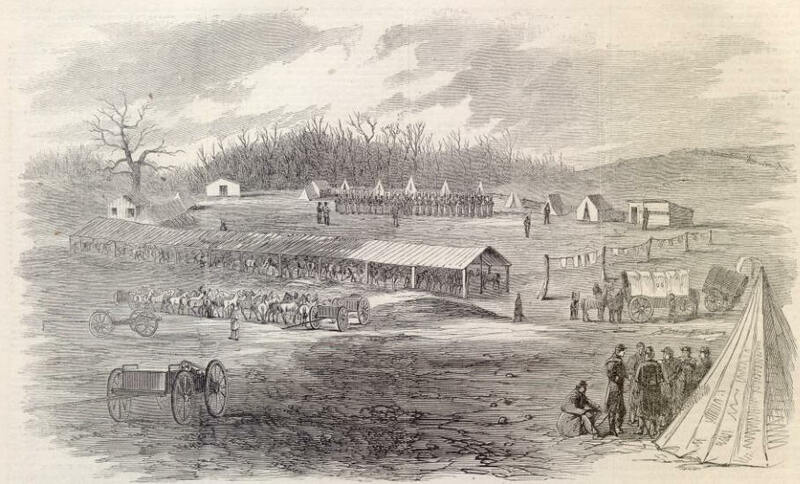 This WEB site features the Harper's Weekly newspapers that were published during the Civil War. These newspapers are a great source of original Civil War illustrations, and incredible stories on the key battles and people of the War. We hope that you find this collection useful. Check back often as we add new material each day. CAVALRY PICKET AT HANCOCK, MARYLAND. of salt and other supplies to the rebels. They have also taken part in several brisk little skirmishes, among which are those at Sir John's Run and Cherry Run. In their scouting parties they have made several important arrests. 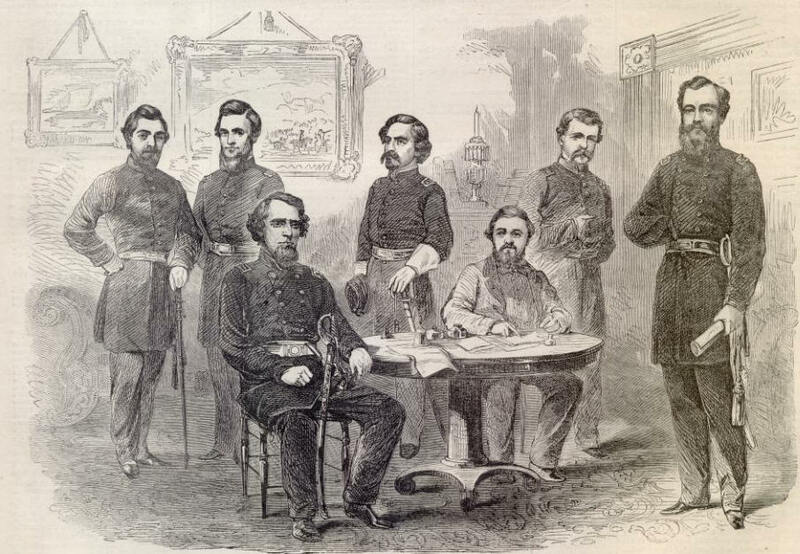 WE publish on this page an engraving of GENERAL KELLEY AND STAFF, from a drawing by Mr.
Guril Bott. General Kelley is the gallant Virginian who was the first man in his State to raise a regiment of Union troops, and who was so gravely wounded at the very first battle in Western Virginia. He has since been promoted to a Brigadier-generalship, and has a command at or near Cumberland. Great things are expected of him, as he is known to be a man of remarkable energy and daring. BRIGADIER-GENERAL KELLEY, UNITED STATES VOLUNTEERS, AND STAFF.